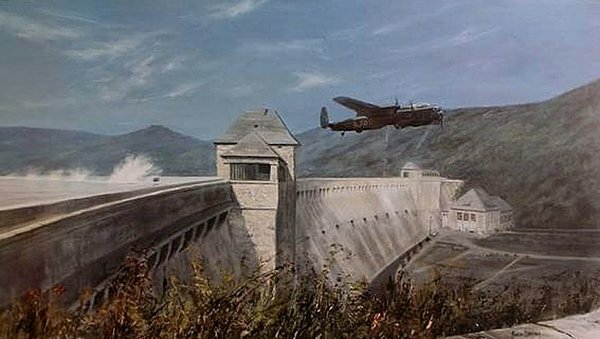 Three Lancasters were sent to the Eder dam after the breaching of the Mohne dam. Maudslay, Shannon and Knight attacked as practised. However, not all went well. Shannon went in first but was well off target. Maudsley was next but the mine was released late and struck the dam without hitting the water. The explosion badley damaged his aircraft. Knight was last, as shown successfully breaching the dam.